A policeman, Sergeant Akpa James, has been dismissed from service for allegedly killing one Ohimi Ojima in the Ajaokuta Local Government Area of Kogi State. James, before his dismissal, was attached to the Special Protection Unit, Zone 8, Lokoja. 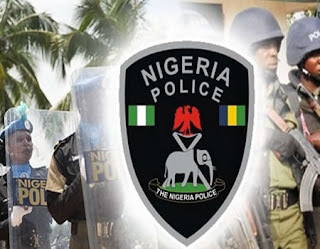 A statement by the Kogi State Police Public Relations Officer, ASP William Aya, on Sunday stated that Ojima, before his death, had an argument with security men in the Ajaokuta Steel Company when he was ordered to make a U-turn to the direction of the road where he was coming from as the road was the only accessible road to Ajaokuta Steel Company Limited. Aya said, “The victim ignored the order and went to the extent of attempting to disarm the sergeant; he was fatally injured in the process. “He was rushed to ASCL Hospital, Ajaokuta, for medical treatment, but he gave up the ghost. The PPRO also refuted claims that the deceased was the younger brother of the governor of Kogi State. “The command wishes to state categorically that the sergeant is attached to the Special Protection Unit, Zone 8, Lokoja and not Police Mobile Force (PMF). “Also, the report that the deceased was a younger brother of the governor of Kogi State is false in its entirety. The victim was from the Ibaji Local Government Area of Kogi State.